We clocked the pencil case at 0 mph. 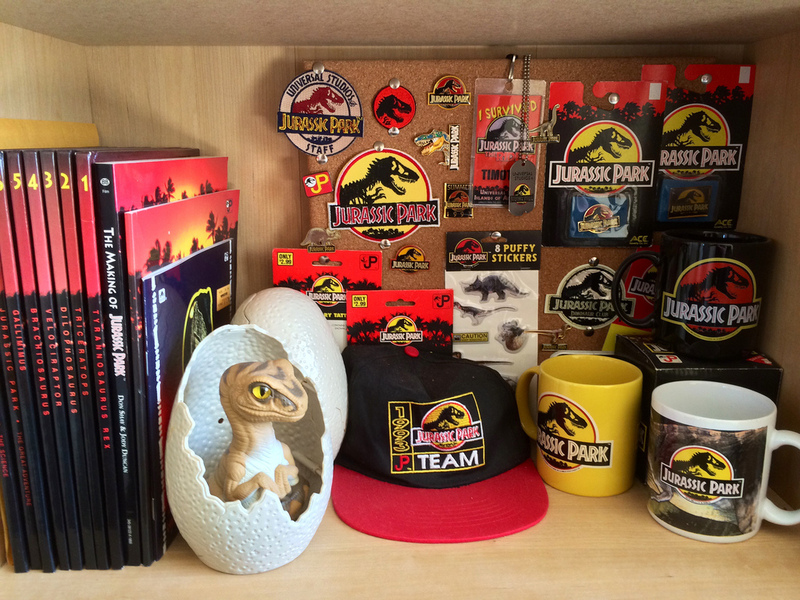 I used to go through life thinking that nobody could possibly love Jurassic Park enough to have an entire room in their house filled with every type of JP merchandise imaginable. 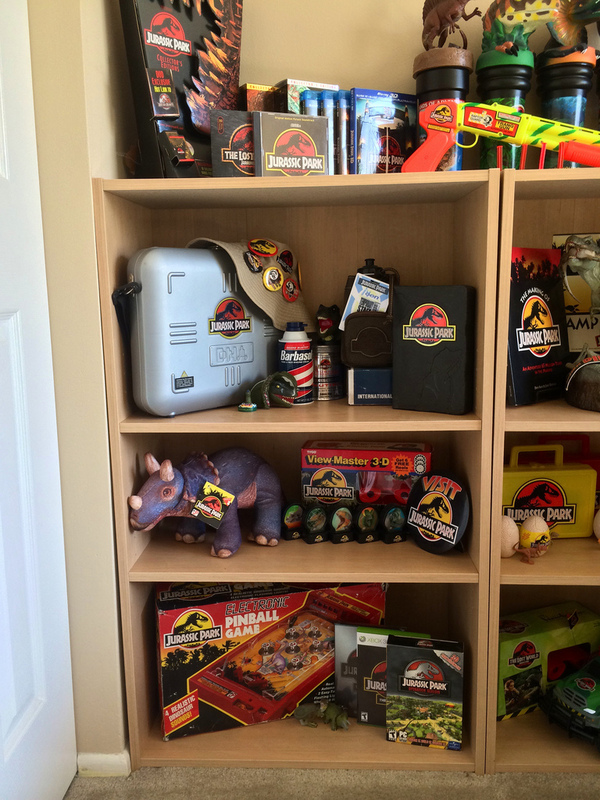 Then I met Tim Piper, and realized that a man can love Jurassic Park enough to have an entire room in his house filled with every type of JP merchandise imaginable. 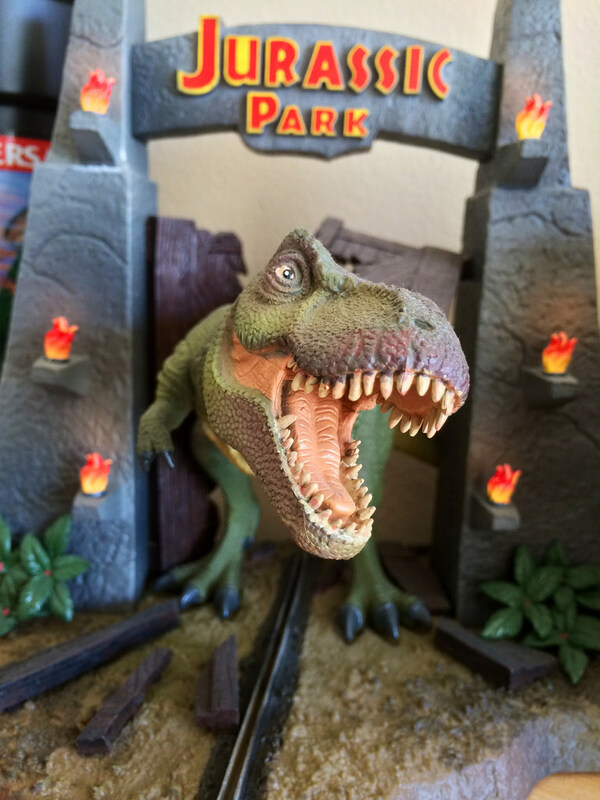 From toys to pins to busts to posters to more toys, Tim’s Jurassic Parlour is a spectacle to behold. 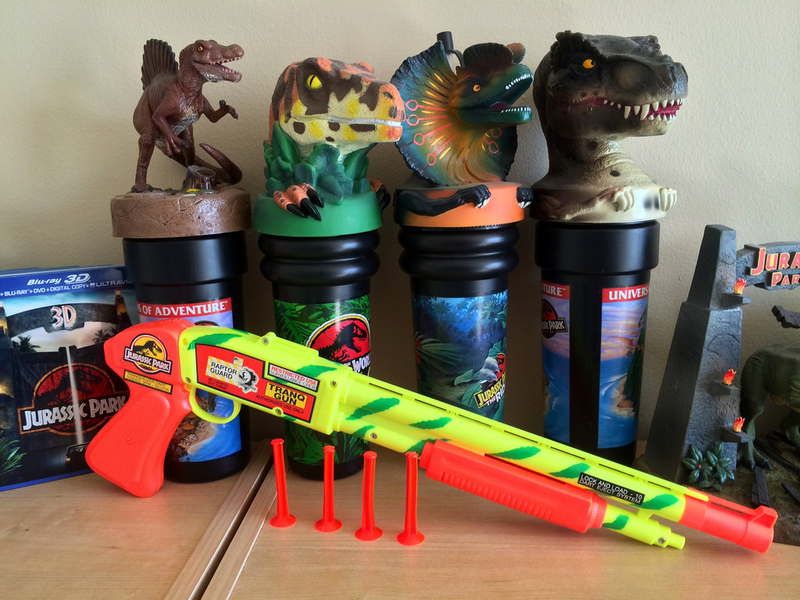 I'm not sure exactly what a person's descent into madness looks like, but I'm pretty sure it involves a foam soap dispenser with a dilophosaurus on the top. 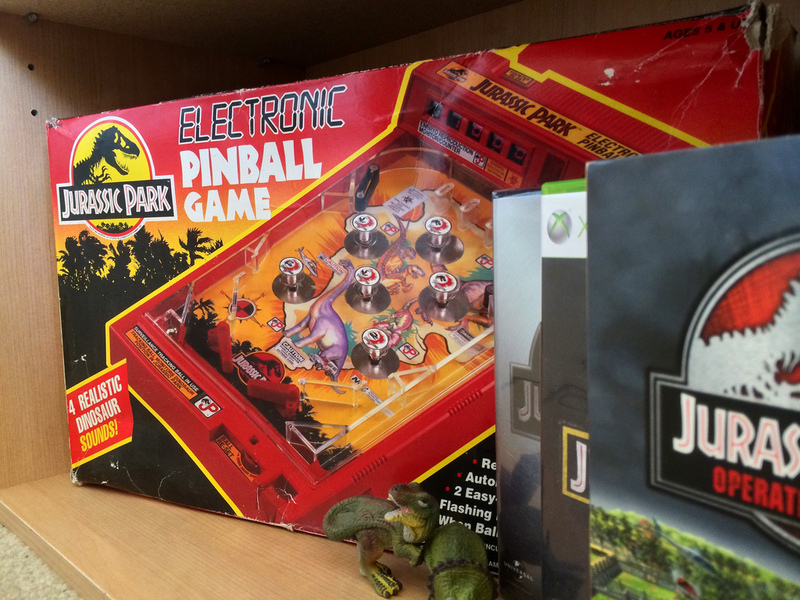 Tim even has a pet frog named Nedry, which is adorable in a sort of serial killer kind of way. 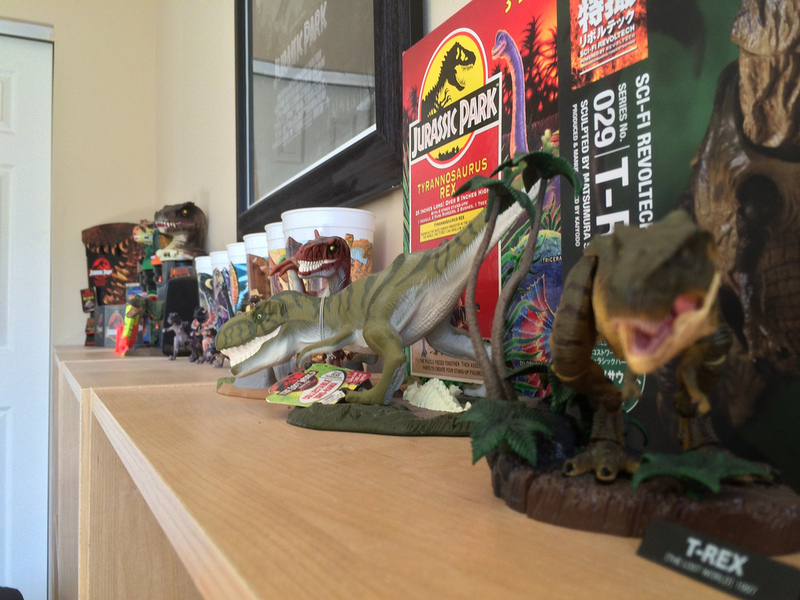 The only thing the Jurassic Parlour seems to be missing is Jeff Goldblum’s severed head, although I didn’t check his closet so I can’t be sure. 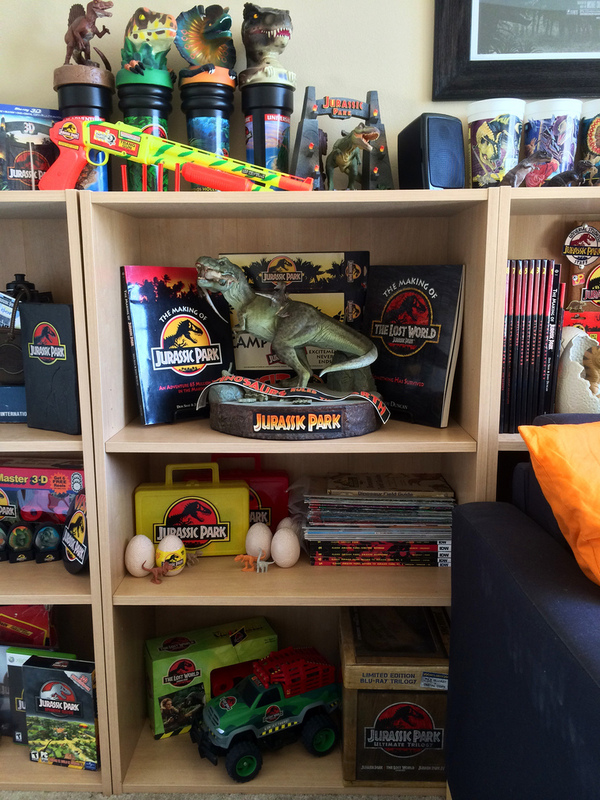 Be sure to visit Tim’s Instagram page during his Dino Giveaway for a chance to win some JP stuff. 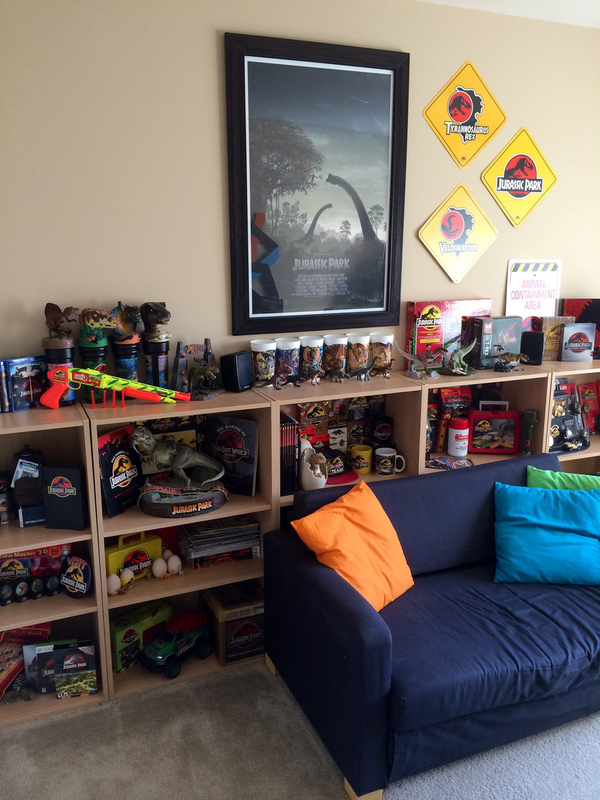 Enjoy a few pictures below of the JParlor (more here). Hold onto your butts.